Welcome to Casa La Mar, where "Mi Casa es su Casa" is taken to heart. 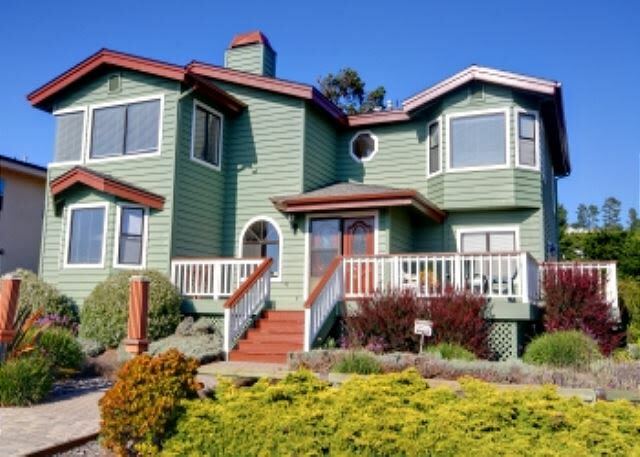 This lovely three bedroom, two and a half bath Cambria vacation rental home, is situated on Marine Terrace, one block east of the water, and a short distance from the trail head to the Ranch. You can hear Seals barking, waves crashing and watch the sun set on the horizon, while your worries melt away. Soak in the hot tub on the deck to add to your relaxation. This home is two story, but if stairs are a problem, it has an Elevator!! A large high definition TV is in the living room. A computer with internet, as well as a wireless connection, are available. The bedrooms have a king and a queen, a trundle bed in the office, and a sofa sleeper in the living room, enough to accommodate up to 8 guests. It is spacious enough for a group of eight, yet cozy enough for a quiet romantic getaway for two. Pets are welcome, too!! 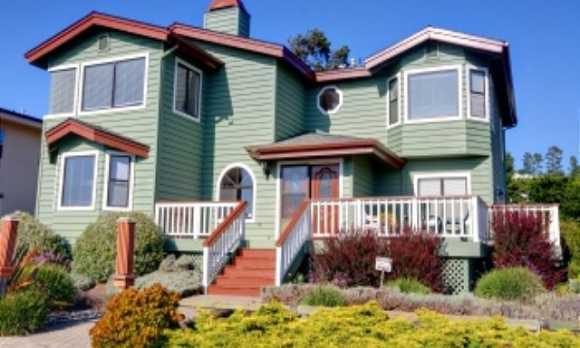 For more information about this lovely pet-friendly Cambria vacation rental home, please contact Scenic Coast Properties.